Apple is reportedly planning to release a new 4-inch iPhone next year. We already heard quite many things about this alleged upcoming iPhone, and now KGI Securities analyst Ming-Chi Kuo has more to share on what we should expect from it. Reportedly, the new 4-inch iPhone should enter production in the first quarter of 2016, so it might be released well ahead of the iPhone 7 and iPhone 7 Plus - both of which will likely be available starting September next year. Ming-Chi Kuo says that Apple may want to sell the 4-inch iPhone for prices between $400 and $500 - just as previously rumored (we assume that $400 will be the price for a 16 GB model). The upcoming compact iPhone should be made out of metal, while being powered by an Apple A9 chipset (we also heard that it would use the older A8 chipset, but that may not be the case after all). The new handset should also feature NFC in order to support Apple Pay, and a camera setup similar to that on the iPhone 5s: 8 MP rear camera, plus 1.2 MP front-facing camera. Apple could ship 20 million new 4-inch iPhones by the end of 2016, making them available in at least two or three color versions. The name of the new device is currently unknown - it might be iPhone 6c, though that may not make too much sense if the device is made out of metal, not plastic (like the iPhone 5c). Right. That s**t better be priced under 500. And I do mean s**t.
It's good deal for an iPhone. the most expensive low-end mobile phones! If they put a A7 processor on in it, then it's not that bad of a deal. Compared to other Android models yes it's a little more expensive, but iOS really doesn't need much hardware for it to run smoothly. A7 processor, Touch ID, support for 20+ LTE bands, and color finishes for $449 would sell. And users would receive the latest iOS for four years. No Android handset maker will offer this for its mid-rangers. That alone is a great selling argument. I think that such an iPhone could shift the last 5% of profits that Android is standing for in the smartphone market to Apple. Lumia 520 , a $50 phone from 2013 is NOW getting Win10! So, phones don't need to be expensive to get future updates! Who cares about the processor, support, blah blah. Its the logo at the back that matters. If it has an A7 and the same density as the iPhone 5S than it has the same onscreen graphics performance as the Galaxy S6. I didn't stutter. Gimme an A8 (basically the specs of an iPhone 6) then I'll declare it worth for an APPLE device. The majority of the buyers want it is a status symbol, it is a known fact. A known fact where? Nobody that I know, nor have seen online, uses their iPhone as a "status symbol." If anything I've seen Android users flaunt their phones as a "status symbol" more. Because many studies have proven that people say "I buy Apple because everybody has it" or "because it's Apple"
Even if they did, that should not be a concern for you. If people are buying it for a status symbol, that is not stopping you from going to buy you favorite Android device. I will never for the life of me understand why people like you are so bothered about another company selling products. We do understand. We also understand stupid when we see. Here is why it isn't worth $500. Go and look at phones that cost $500. Most have a 5" screen, are at least 800p/1080p, have 5/13MP cameras, have quadcore cpu and at least 2/3GB RAM and some have 32GB storage and more. Considering this device is likely going to be using leftovers from the iPhone 6 sales and those specs are several years old consider 1.2MP/8MP and 8/16GB storage and has no advanced features at all, it's not worth $500. Not just for Apple, any brand. It's not about wanting just a simplistic experience and yes many people don't want advanced features they will never use, so since the phone doesn't have them, then it shouldn't cost as much as one that does. That what kids like you don't see to understanding. Example, are you old enough to by a car? Would you $40,000 for a base Camry? Which won't have power windows or doors? Won't have nothing more than a 4 speaker AM/FM radio? And have the cheapest seats? If no than why would you pay $500 for a $250 phone. Think about this. 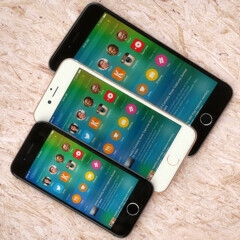 The top iPhone models cost Apple about $280 for the Plus and 240 for the one below it. So what do you think the C model costs them when it's using leftover parts they've already paid for? Probably $150 tops. Please explain how a phone that will cost them $150 or less is worth $500. Considering when it comes out you can get a Galaxy S6 for $500 and the Edge for $50 extra and even if u don't use or need the fancier features you still have better cameras, more storage and advanced capabilities and a phone that will charge faster for the same price. That's where stupidity comes in. At $500 for a c, you may as well just get on a payment plan for the other models. ...because that is what Apple wants you to do anyways is buy through fancier models. Ahahha, but Techie is right though!